Children need to chew! It’s a fundamental part of growing up and is key to optimal cranial and facial development. 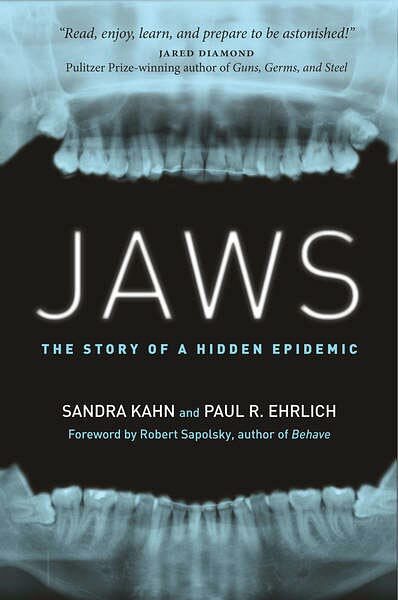 One of the best resources explaining why chewing is so important is a book titled Jaws: The Story of a Hidden Epidemic by Paul Erlich and Sandra Kahn. I was able to see Paul and Sandra speak at the AAMS (Academy of Applied Myofunctional Sciences) Congress in Rome in early September. Their lecture was a fascinating look at just how much human cranial and facial development has changed in a relatively short time frame. Most of the teenage and adult patients in my practice are dealing with the consequences of less than optimal facial development. As i always say, your face is going to change no matter what. It can change in a good way, or it can change in a negative way. But if these patients had been able to make changes when they were much younger, they probably wouldn’t need to see me at all. One of the best ways to help a child’s face grow the right way is to make sure that they’re chewing foods as early as possible. So many factors were different when humans lived as hunter-gatherers but one of the most influential is the modern availability of soft food for babies and infants. It’s become accepted “wisdom” that babies should eat nothing but baby food. In fact, we have a massive industry promoting soft foods for infants and making a lot of money doing so. But this approach just isn’t ideal because it’s not how we evolved. As early as 1894, a Canadian dentist named Weston Price became interested in the relationship between nutrition, dental health, and overall health. Over time, this interest became something of an obsession. 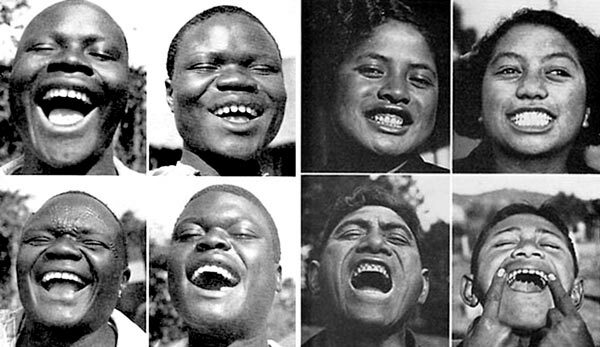 In the 1930’s, he went on to investigate his theories about diet and dental health by studying groups of people around the world who were still eating the traditional diets of their area. This was an epic undertaking in those days because his research covered areas as far afield as Switzerland, Australia, and Polynesia. He complied over 15,000 photographs, 4,000 slides, and a large number of filmstrips, and in 1939, he published Nutrition and Physical Degeneration, a book that outlined his findings. One of the most interesting discoveries was how these groups of people had facial development that was far better than those who had adopted a “Westernized” diet made up of a higher proportion of processed and refined (and soft) foods. They also had almost no cavities or gum disease, but that’s something I’ll save for another post. Where Does Chewing Fit In? There are so many factors that influence the way a baby’s face develops as they get older. These range from genetics, genetic expression, nutrition, tongue position and even breathing. But chewing is an important one! How much we chew, and what we chew substantially dictates the shape and growth of our jaws. Research has shown us that people who eat more refined foods have smaller and less developed jaws than those who eat traditional diets with tough foods. When a baby goes straight from milk to baby food, its jaws don’t get the stimulus needed at a critical time. This is especially true if the baby stays on soft food for longer than necessary. Eating difficult to chew foods at an early age strengthens the jaw muscles and promotes bone growth by helping to lay down the bone matrix, allowing the jaw to develop to its full potential. Research shows that babies will reach for food at around six months of age, and they’re capable of feeding themselves at this age. Well, by feeding themselves, they’ll gum and gnaw their way through or around any food that they like. If you’ve ever seen a video of a baby gumming on a chop, then you’ve got the picture. As soon as a baby starts working their jaws with harder foods, they’ll be giving themselves the chance to get the best possible jaw and facial development achievable within their genetic template. This is a major part of enjoying a lifetime of good health, and not needing orthodontic treatment or dealing with oral myofunctional issues later in life. Of course, this doesn’t mean that a host of other factors don’t need to be considered. For example, it’s entirely possible for an infant or young child to have allergies that cause nasal congestion. If this situation persists for long enough, a mouth breathing habit can set in, along with the associated low resting tongue. The tongue is the support structure for the jaw, and having the tongue resting up against the top of the palate is vitally important for correct facial growth. 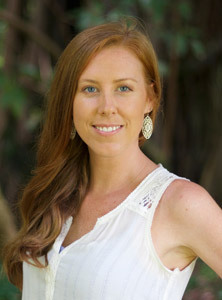 While I was in Rome at the AAMS Congress, I interviewed Mary Bourke, CEO of Myo Munchee. We discussed children and chewing in some detail. I think the interview below with its three key takeaway messages is a must-see for parents. The Myo Munchee is a great appliance. I like it so much that I include one in the treatment kit for all of my patients under five years of age and use it extensively in my MiniMyo program for younger kids. To conclude, there are a number of excellent resources on this subject. I always suggest that if my patients want to learn more, they start with the Jaws book to understand what’s happening at a physiological level. The Baby Led Weaning book is ideal for parents of babies or for anyone planning to start a family, and this page from Babies Like is also filled with helpful information. 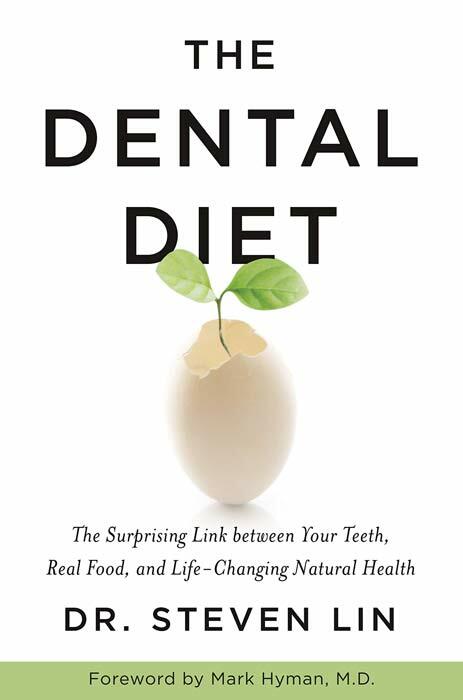 The Dental Diet book by Dr. Steven Lin is well worth a read for anyone who wants to optimize their dental health.